Amy Hollowell is a poet, translator, journalist and Zen Buddhist teacher. She has long been a figure in the Anglophone poetry scene in Paris and is the author of several poetry collections and chapbooks. A former editor at the International Herald Tribune, she teaches Zen meditation in Paris at the Wild Flower Zen Center (www.wildflowerzen.org), which she founded and directs, and elsewhere in Europe, primarily in Portugal. The mother of two children, she lives with her husband in Montreuil, a suburb of Paris. At the outset, I might posit for clarification that the word “meditation” implies a duality, suggesting a subject that meditates upon an object, while my own practice of so-called meditation involves an experience of non-duality, of just being here now. I thus prefer the noun “sitting” and the verb “to sit.” However, for the purposes of this text, I will conform to the conventions of the seminar and use the word meditation. 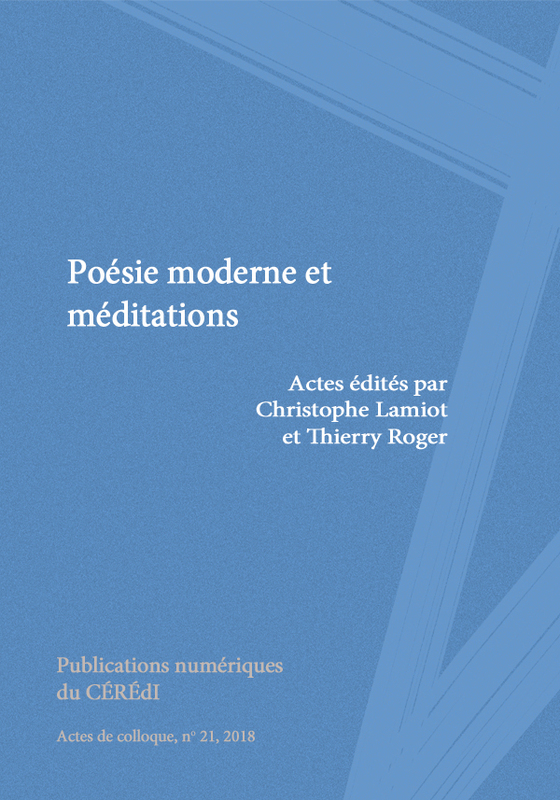 Amy HOLLOWELL, « Poetry and meditation » in Poésie moderne et méditations, Actes des journées d’étude organisées à l’Université de Rouen les 21 mars 2017 et 19 mars 2018, publiés par Christophe Lamiot (ÉRIAC) et Thierry Roger (CÉRÉdI).